It’s alright to lie, deceive and use people, culture and tradition as long as it’s for the “Cause” , right Audrey? In the adjoining community recently , Dennis Banks fell on his face at the front door and now Audrey Thayer is trying to come in through the side door of the non-native community to develop a working together relationship? Around the year of 2002 a child bites another in a local fast food establishment, the mother of the bitten child responds no different than a Bear or Wolf parent, she protects her born from the one that bites. This escalates into the two guardians of the children entering a verbal conflict, which prompts the establishment to notify law enforcement. The establishment after gaining an understanding of what prompted the verbal conflict, in order to stop it’s escalation , directs the guardian of the biting child to leave the premisses. While doing so law enforcement arrives, questions that same woman of the events who is then arrested for a existing warrant of theft. Seven months pass, then Audrey Thayer launches a protest campaign. She labels the food establishment, the community and the law enforcement as RACIST and announces her campaign a “Spiritual Movement”. Two or so years later the ACLU selects Thayer to head off an office in that community. For the last ten years, Thayer even while representing the ACLU has constantly used “Racist” towards people who do not support her ill behavior while using words such as “The Birmingham of the North” as a marketing slogan to promote herself. 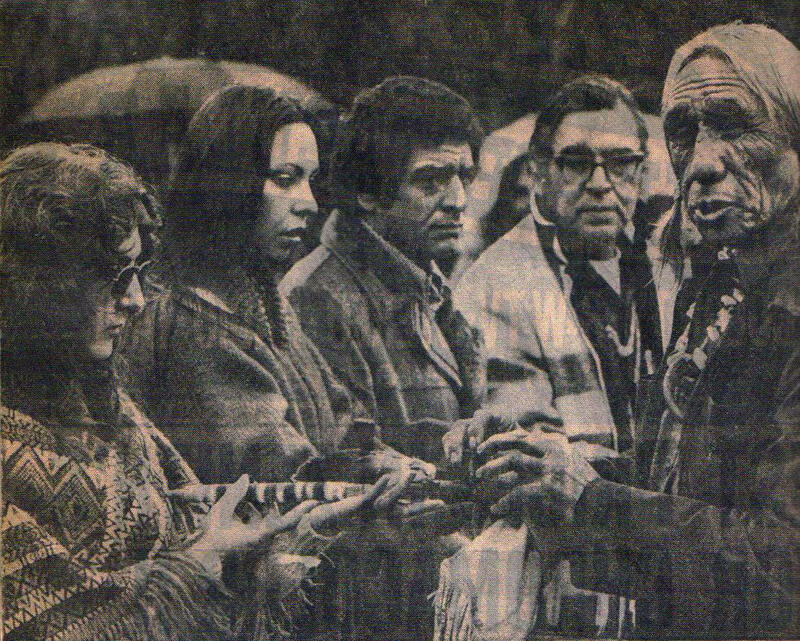 Thayer’s “Spiritual Movement” is based on the teachings and indoctrination of those she adorns herself with, those she protects through deception, leading people to believe her mentors are not directly responsible for the murder of Civil Rights Activist Perry Ray Robinson Jr. , Annie Mae Pictou Aquash, and other innocent people. Thayer under the advise of Tribal representatives, was recently brought into our community by an organization called the Working Together Collation. So sad that good hearted people will be used “again” to enable the “Spiritual Movement” that Thayer is using the ACLU to promote. Thayer’s Spiritual Movement falls more in line with Spiritual Exploitation than learning, healing and growth. Frank Fools Crow was right with the illness he saw coming. When will Tribal representatives, Tribal Colleges, community members and others realize how they are living a lie and quit enabling the illness that continues to migrate. As per the Dec. 4th WTC community meeting where Audrey commented about provoking through dialog, how she prompted a Sheriff into coaxing his deputy to drop charges against someone, She should at least give out the Sheriff’s name. Then again no name equates to nothing more than flag waving and horn blowing. At that same meeting when questioned how many instances of racial profiling Thayer had proven in the courts, she replied about 10 and followed up with saying she has collected data for approximately 900 cases. From my understanding, after an excess of 1million dollars spent and at such a low percentage of validated claims one would think Thayer would quit yelling racism. Her actions are feeding anger and frustration into the communities, what else is expected from grant opportunists that hold and enact AIMster scam tactics. 10 claims proven ???? , sounds like more lies, will have to research that. More Lies from Audrey. When Thayer was addressed at that meeting about calling northern Minnesota “the Birmingham of the North” and how insulting it is because of the disregard toward those who were murdered during that era, She denied doing so , saying she was speaking of Duluth. Thayer started her Spiritual Movement off with lies and deception, over 10 years of screaming Racism she continues to do so with nothing to show for after expelling a million plus to continue her rhetoric using corrupted 1st Nations cultural teachings and beliefs. Something is seriously WRONG with supporting people who do such. Audrey Thayer take note of what a Tratior is about and start helping people and communities to heal , in place of using them with your ill teachings. 1839 was our first bout with yellow fever. The epidemic spread up and down the Bayou. Almost every family counted at least one victim. Racism is washed away when people focus on instances where we helped one another, i.e through examples of positive growth , NOT by pointing the finger and casting false accusations. Finger pointing of such feeds anger and frustration which in turn feeds VIOLENCE! 1st we murder innocents including our own, then we lie to everyone about the murders, then when the truths arise we pray for the murdered innocents and those who murdered them , while saying “forgive”. FORGIVENESS: all belief systems have basically 3 criteria, admit to the wrongful acts, make a commitment to not act in such a way again, then offer some form of restitution. Those murders of innocents, those hijackers of spirituality, those so called hero’s of 1st Nations have “never” done any of the 3 and their death when it comes will not wash their hands clean of the blood they carry. So support “it” if you want , that’s a choice to continue passing blAIM onto all other while trying to evade accountability. It’s what’s best for the youth correct? Don’t Disguise It, Stop with the Hate! 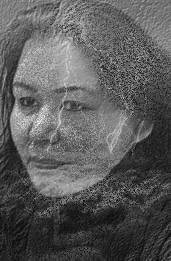 “Dear Marley and Indigenous Women for Justice, Please know that I am with you. Oct 11, Student Parents of Onigum label WHA, the Walker community , and Cass County law enforcement as Racist. Oct 14, Dennis Banks speaks at WHA meeting, presents himself as AIM , gives speech and starts ranting about racism and creates unrest and then leaves. Oct 15, ll forum facebook , questions occurrence, tribal members discuss protest, student walk out, accusations of racism, etc …. Basically a hate campaign building. Nov 6, Community member post suggestion to local newspaper opinion, for a common goal to strengthen unity by addressing Violence as a group effort. Nov 30, E. Hunt and Thayer hold broadcast with People of Color at radio stations during same time frame, People of Color promotes broadcast by KAXE about conflict and community relations. Dec 4, Onigum meeting by WTC, Audrey Thayer mentions ACLU is working to assist students, Audrey and Nygard brought in to community meeting under the advice of E. Hunt and other tribal representatives. Dec 4, Onigum community member leaves meeting early and is followed home by family relationship of Cloud student, and threatened. Report filed with Cass county sheriff dept., instance confirmed by Cass County Sheriff dept. 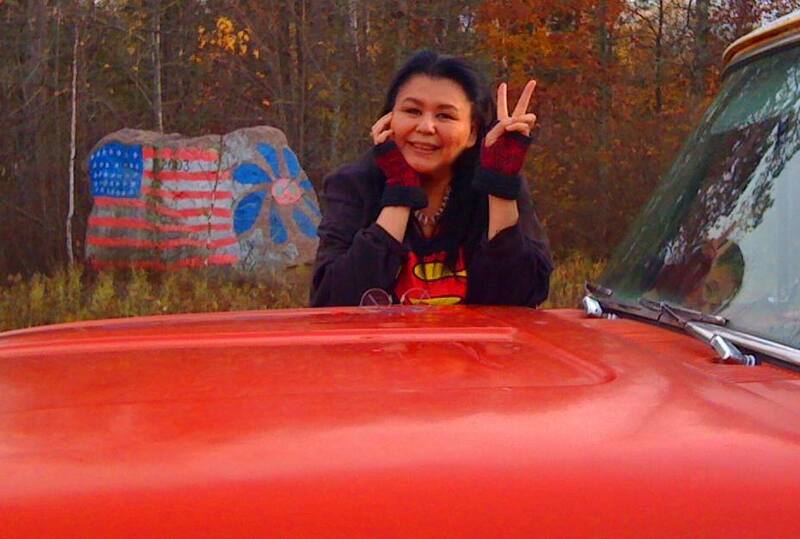 Dec 5, leech lake radio station rebroadcast People of Color broadcast with Hunt and Thayer. Dec. 10 , E. Hunt and Olson of WTC present questions at WHA meeting , most questions relative to student treatment as per Dec 15 newspaper article. Dec 15, WHA response date posted in local newspaper stating response will be at Jan. meeting. Ashley Woods fb reply I was at the cl elementary when myself, along with @10 other teachers were informed that some sort of a threat was made involving red lake, bemidji and cass lake boys. As to what the threat was or to whom it was made we were not told. Publisher Note: could threats of violence at Bemidji, Cass Lake School be a result from racist accusation escalating through the communities from Banks (AIM Mentality & Supporters) , Parents, Students & Thayer’s wide area radio pr campaign? If the false accusations continue, You Bet Cha Violence could become the result!! Check Back for Updates to this typical AIM script Unfolding and how the youth and outreach groups with good intent will be used again by grant opportunists. Opportunists: people who see a chance to gain some advantage from a situation, often at the expense of ethics or morals. Before my mother was stolen from us she managed to teach me two of the most valuable lessons you can teach a human being, “speak the truth while standing your ground and don’t let anyone ever tell you they are better than you are, we are all equals.” I came into this world aware of the historical injustices our nations suffered at the hands of the colonizers and I am also fully aware of the injustices our women and children suffer in our own communities today. I have never understood the fracture in native resistance and grassroots justification in what morally and ethically is constituted as wrong. Wrong is wrong period, there are no conditions when a life is lost, it doesn’t matter who the perpetrator is. Speaking truth and justice does not require you be from a particular ethnic group, specific demographic or side of the law. Our family learned very early on coming off of an era that was wrought with racism and indifference that no one was going help us if we didn’t help ourselves. Instead of blaming others for NOT doing anything, we dug in and did it. We wrote letters, we asked the questions, and though we did not for a long time get any answers, understanding now the level of betrayal in the events that led up to my mother’s death, it isn’t difficult to understand why there was such a delay. We were met with many obstacles over the years never imagining the biggest would be from within NDN country itself and had it not been for Paul DeMain and his tenacity to keep the story alive and current I can guarantee many would have forgotten my mother . The great AIM warriors did the unthinkable; they murdered one of their own women and blamed the feds, knowing that the historical fear and paranoia of the FBI would hopefully keep their dirty secret. I personally have neither feared nor exalted the historical actions of the federal authorities ever. I refuse to let anyone or any event be my moral and ethical barometer in deciding if taking the life of a woman is wrong. What the AIM leadership did to my mother is unforgivable, and what they have done to the moral and ethical fiber of native resistance is unconscionable. To knowingly feed the public lies about their knowledge, facilitation and murder of one of their own women in the shadow of native resistance while blaming it on the colonizers is one of the most cowardly actions I have witnessed and is a traditional abomination. My mother’s murder was never a government vs ndn issue, the AIM leadership made it into that issue to hide their tracts and complicity in her murder purposefully. If there was FBI infiltrators then the old AIM leadership would have known about it and protected that person or persons with their lies. So who is really the fed facilitator? For over two decades human beings knowingly twisted and maintained their silence on the events of that era for a reason, because they knew what they had done was no better than what the colonizers did to our own ancestors. I am glad to hear that others are questioning the old Leadership of AIM, I guess calling me fed, diversionary and accusing me of cozying up to the feds did not change the facts or the truth. The times are changing; people are educating themselves and are able to live confidently autonomous without acting like lemmings of living in fear of retaliation because they have taken ownership of their place and rights in this universe. Because my family or any other family happens to be speaking about the same injustices as the federal authorities doesn’t mean we are aligned with them or against them. Speaking about injustices aligns you in morality and ethics, not in lifestyles or history and there are no sides to truth. The generations handling these injustices in this time are their own human beings in most cases and were not there on either side of the law and it is unfair for me to paint them with the same paintbrush. That being said there is a difference if people are knowingly supporting individuals who have the blood of innocents on their hands for the sake of being anti- establishment. For the record so people understand the feds were the vessel that carried justice for my mother it was the actions of a few courageous eyewitnesses and the persistence of a few prosecutors ( who not once by the way ever tried to justify the historical actions of the FBI ) that brought my mother justice . How sad is it that we had to rely on the federal authorities to bring justice for one of our own women that ndn country had sang about, marched about, and exalted for decades yet AIM nor any other entity could not bring themselves to once campaign for her right to life. Sadly it’s too bad our women are not as important as a plot of land or the name of a sports team huh? A Personal Note from Moi: ” To those who compromise Morals and Ethics to try and Silence this Womans Voice ….